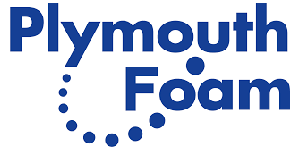 About: Plymouth Foam is a Wisconsin-based company that has been manufacturing quality particle foam products at a reasonable price for almost 40 years. With a key client, we had a deep and actionable conversation of expectations that were and were NOT being met. We then took action on expectations we hadn’t realized weren’t being met resulting in actual cost elimination benefiting both companies and saving our customer $100K annually. We increased rapport using our new tools, creating a deeper business and personal relationship resulting in: implementing a 3 year supply agreement locking in existing business with incentives for new business growth! In 60 days we went from potentially losing business to an engaged partner willing to participate in a 3 year agreement benefiting both of our companies! This was the customer we chose to validate the customer journey with… and it became a $2 million phone call. Our sales team is now a cohesive tribe vs lone rangers, they have a clear standard sales process with stages that map to our Customer Journeys and marketing tools per stage. Our sales visibility is greater than it’s ever been before, as we now have tools to accelerate pipeline momentum and reporting, and know how to “unstick and unstall” any accounts that need help. Our marketing is only focused on what will drive solid results via metrics, and we have the playbook to enroll, engage, align with our internal stakeholders, our prospects and clients, our partners and key influencers too. Our new brain-based tools really work!! !